I've been playing with dragons a lot lately. 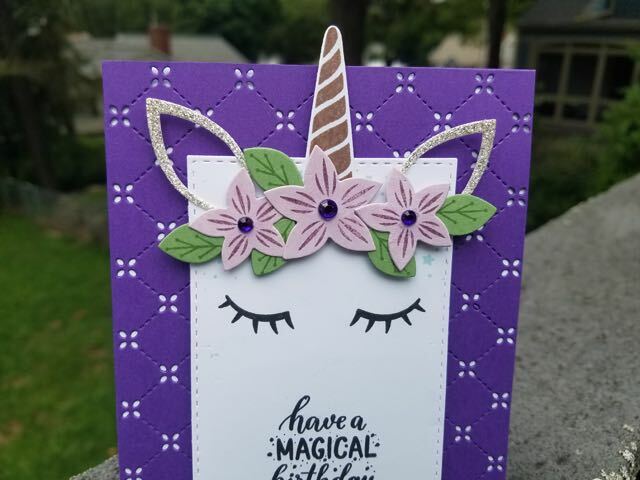 I thought it was time to show the unicorns some love. 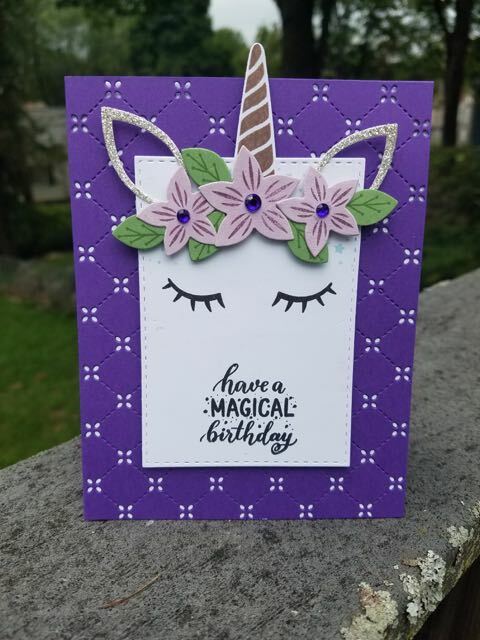 I love this unique take on unicorn. It doesn't show in the photos, the ear, horn and flowers are covered in glitter. Love the shine!